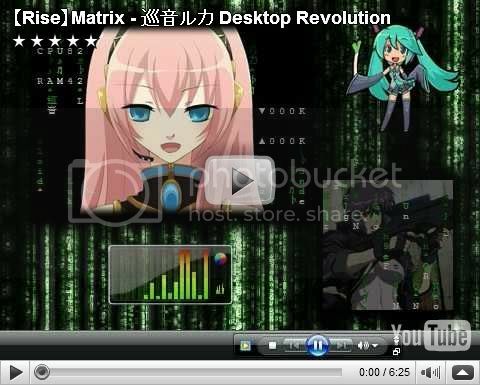 ► System Animator 8: OS-tans and Anime cuties DANCING on your desktop! System Animator: ANIMATE your desktop! Sidebar gadget can be installed on a per-account basis, or across all users (by admin). 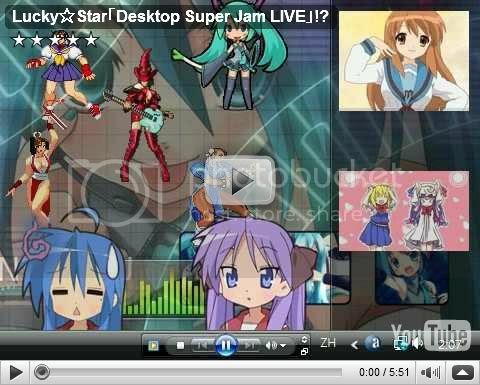 Bring OS-tans and other Anime mascots to your Windows desktop! Check out my Windows Gadget Gallery! This is a new video demo I made, which (finally) demonstrates System Animator as a multi-purpose PC activity monitor, as well as a music visualizer, with interesting and fully CUSTOMIZABLE animation! Yeah, I have quite an archive of animations for System Animator (I just checked and was surprised to see it was already over 16MB, 1800 files, 120 sub animations... LOL), in which most of them were made by myself. Since the beginning of this System Animator project, I have been making various animations, for both testing/program development purpose and personal interest. Most of the time, an animation used in System Animator is as SIMPLE as a sequence of animated GIFs, or exported frames from an animated GIF. And the most common "source" of these animated GIFs is ... guess what, forum avatar images LOL ;001 (I suppose your "rolling" signature can look pretty funny when it responds to music... LOL ;025 ) We all know there are TONS of cool animated avatar images out there, and you will probably be surprised by how interesting they can be when they are used in System Animator. Anyways, I have just updated the "Extra Animation Collection" download in my Sidebar gallery page to contain most of the animations I have. You guys can download it now. Here, not in downloadable form though. And I didn't know that song was on the Re-Mix001 disc, but I have it. Thanks! By the way, I (finally) found the high-quality version of the Haruhi ED full dance, and managed to turn it into a System Animation animation. 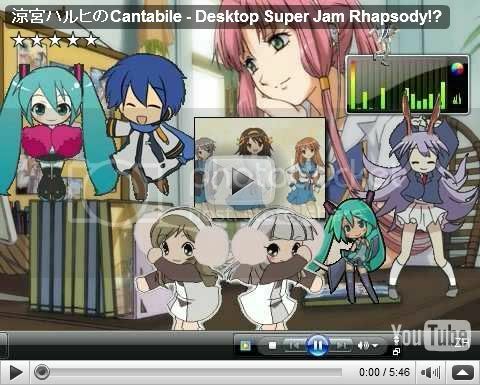 Even as a somewhat "random" animation... the Haruhi dance surprisingly matches a lot of musics I tried. 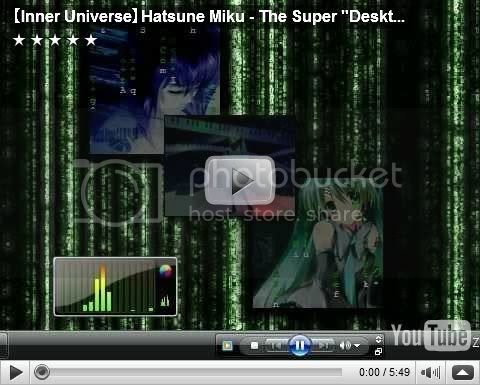 Below is a recent video demo built with the Haruhi dance sequence. Don't miss the new video introduction at the end of it as well. Well here is a collection of recent video demos posted in other threads. 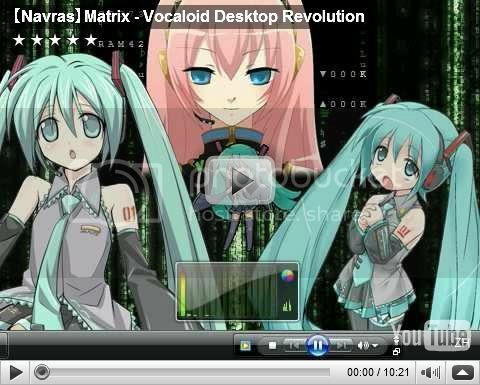 And I am delighted to announce that ALL animations demonstrated in the existing demo videos are now available for download (including Hatsune Miku and XP-tan desktop mascot). Check out my Sidebar gadget gallery page for details. For some reason the site wont load. Is it down currently? Quote from: "hicamajig" For some reason the site wont load. Is it down currently? It was down for a while I guess, but it is working properly right now. This is how she looks on the desktop. Anyways, just in case anyone still cares, here are some new demos. 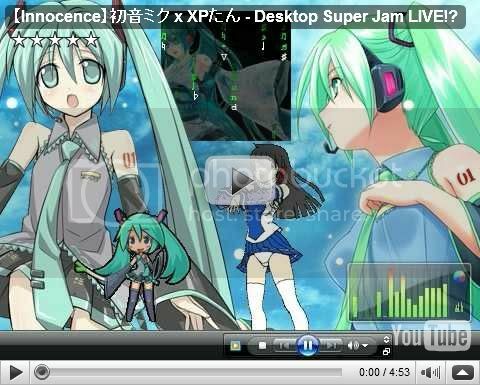 2 very different songs, same animation set (the Miku dance).